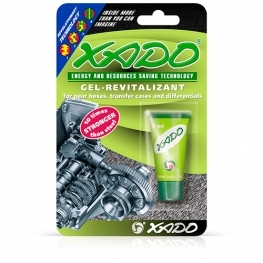 The most important characteristic of XADO Revitalizant-Gel for gasoline (petrol) and diesel engines is the ability to protect the engine components against wear and tear and at the same time carry out a restoration without dismantling the engine. 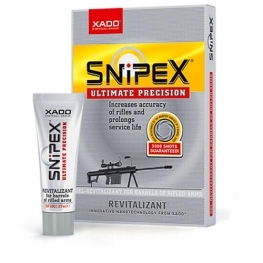 The product is an advanced form of "Nano Technology" which contains unique active components which uses the mechanical friction generated by the engine and the microscopic metal particles present in your engine oil to create a new and extremely strong metal-ceramic coating on the friction surfaces. 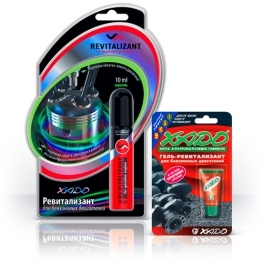 Remarkably, the XADO Gel Revitalizant prolongs the life span of the components 2-4 fold. 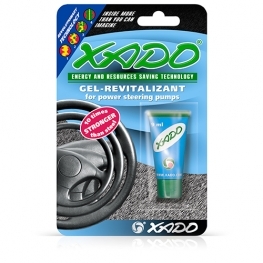 According to the customer’s reviews XADO Revitalizant-Gel is amongst the best product of its kind on the market. 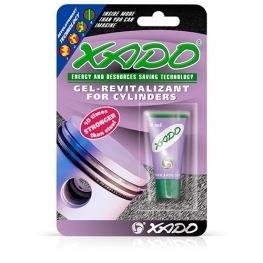 If you wish to restore your vehicle but do not want to dismantle or carry out a time consuming vehicle overhaul, it is recommended that you use our XADO products. We offer a wide range of products for this purpose including Revitalizants for cylinders, classic Revitalizants, EX120 (+20%) and 3d generation gasoline (petrol) and diesel engine Revitalizants. There are also Revitalizants for gearboxes, metal conditioners and lots of other products. 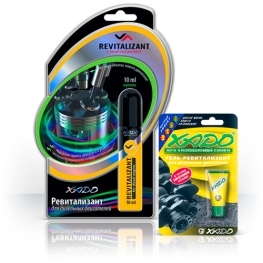 XADO Revitalizants ensures the safe and reliable operation of the vehicle even under extreme conditions. The effectiveness of our XADO products has been proved on many occasions by driving a vehicle with an empty oil sump which we call "dry" driving. O. Plotnik was the first to drive a car with a "dry" crankcase. He was able to drive for 110 miles in his car without any oil in the engine. The second "dry" test was carried out by the well know world-class racing driver A. Salyuk. These tests prove that XADO engine treatments not only prolong life of your vehicle but also provides reliable protection in harsh working conditions. Maybe you'll be interested in: 1 Stage Revitalizants.